Cushioned running shoes are such a popular model of footwear due to how comfortable they are. As the name suggests, cushioned running shoes have insoles that provide additional cushioning in the heel or arch. They can be super comfortable and supportive of your feet when you workout, which is why they can be so popular. Cushioned running shoes are suitable for those who may have issues with their feet, as well as those who run on flat regular surfaces such as pavements or treadmills. They can be useful for you if you want to get into jogging or running, as they will keep you comfortable and secure. If you feel comfortable, then you are going to be able to run better, faster and longer. View the Best Cushioned Running Shoes, Below. What Are Cushioned Running Shoes? What To Look For In Cushioned Running Shoes? How To Look After Cushioned Running Shoes? 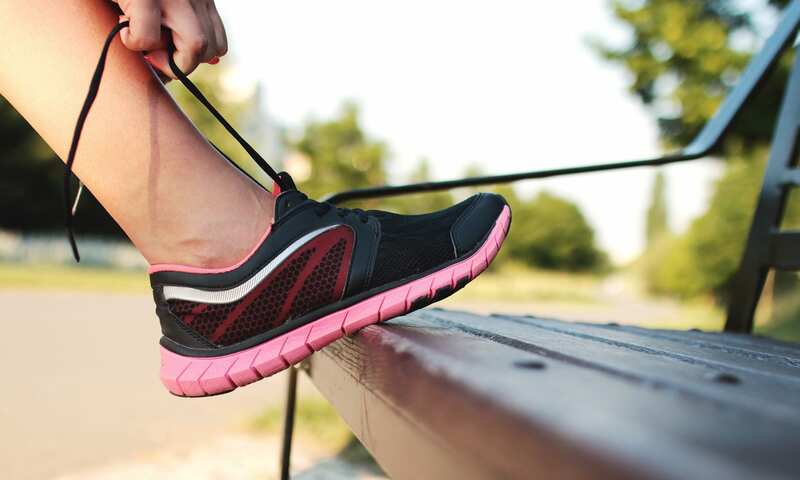 Using customer reviews and renowned brands, we have found the ten best cushioned running shoes that will make your workouts a breeze. These cushioned running shoes have an aggressive grip to give you great control and support when running on the roadside or sidewalk. It delivers obvious and penetrating traction on the ground to keep you comfortable and supported, making them a great choice for beginners into jogging. 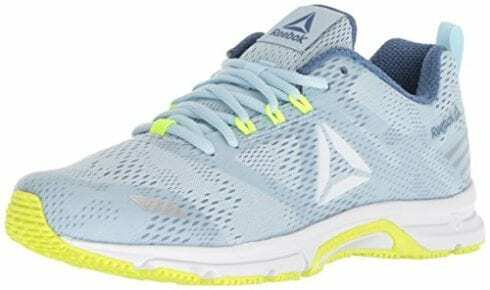 These shoes are also lightweight and flexible, making them suitable for working out. 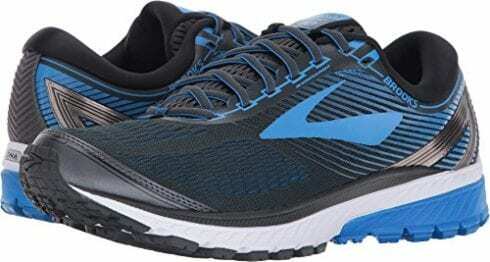 Although they are lightweight and comfortable, these cushioned running shoes are incredibly durable and will last your for many trail runs to come. This longevity makes them great value and an excellent purchase for beginners or professionals in the field. These cushioned running shoes are incredibly comfortable, durable and long-lasting making them suitable for both beginners and professionals. These cushioned running shoes feature exclusive technology that can suit even the toughest workouts and contribute to a classic athletic style that can be worn anywhere. The textile and synthetic mix of materials is lightweight and flexible to support your natural shape and movement. The durable rubber outsole has great traction and is flexible. These cushioned sneakers are very comfortable to wear and will support your feet on a variety of different terrains. They can be worn for running as well as simple everyday support if you have any kind of foot or spinal issue. These cushioned sneakers are very comfortable and supportive as well as being versatile for styling or activity. The Hoka Bondi 5 Women's Running Shoes are made to be used on hard or artificial surfaces. They can deliver great comfort and grip to keep you supported when running in the gym or around the block. This particular cushioned running shoe has undergone some brand improvements, including an advanced toe-box for a more comfortable fit, breathability and compression properties. The cushioned insole offers a smooth and balanced stroke to make your runs even easier. The padded tongue, EVA foam insole, and curved profile are all specially designed to make these running shoes incredibly comfortable and suitable for long-term, repeated wear. These running shoes have a cushioned insoles and additional comfort features in order to support your feet during running at home or in the gym. From one of the most respected brands in the running industry, these cushioned shoes are incredibly comfortable and supportive. They can last for a long time and are durable enough to withstand hours of constant running or jogging on certain terrains. The rubber sole is flexible and offers a great grip, keeping you secure when outdoors or on the treadmill. The cushioning in these running shoes is a multi-layered insole that delivers comfort, support and molding to keep your feet safe. They are designed to provide you with more energy feedback so you can keep going for longer. 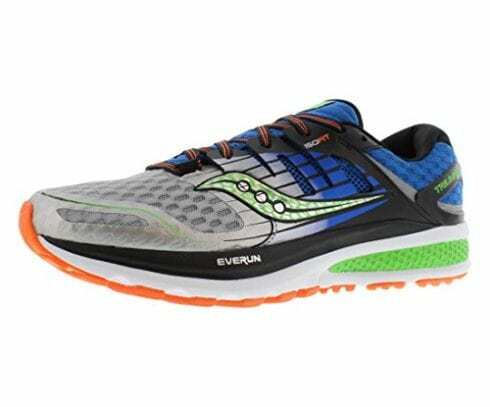 These running shoes have a layered cushioning insole for additional support and advanced energy feedback when in use. The Brooks Mens Ghost 10 offers a soft and secure fit with their stretch material. This flexible body is given through the advanced mesh material that is breathable and keeps your feet cool when running. The cushioning in these running shoes relies on exclusive brand technology. The BioMoGo DNA and DNA Loft cushioned liners work together to provide a just-right softness underfoot, while still providing responsiveness and durability. The shoes are lightweight to make them even more comfortable. The insole of these cushioned running shoes also includes a Segmented Crash Pad that is shock absorbing and keeps all areas of your feet safe. These running shoes rely on exclusive brand technology to deliver a soft and cushioned underfoot, while still remaining responsive and durable. These cushioned running shoes are incredibly lightweight and offer improved flexibility to other models in the series. The updated midsole design relies on Super DNA technology to deliver up to 25% more adaptability than previous DNA models from the brand. This improved technology makes these shoes even softer and more flexible, which in turn can improve your performance on the road. As the material is flexible and lightweight, these cushioned running shoes can offer a better fit and are secure to wear. They are incredibly comfortable and supportive, which is why they are such a popular running shoe. These cushioned running shoes are incredibly comfortable as they feature updated technology and flexible materials. 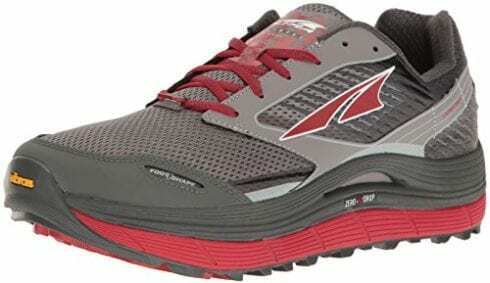 The Altra AFM1759F Men's Olympus is a max-cushioned trail running shoe that is incredibly comfortable and supportive. They have a reinforced upper that delivers enhanced strength and blowout prevention, to keep you running better for longer. The cushioning is 32mm deep and supports the natural shape of your foot for a comfortable ride. 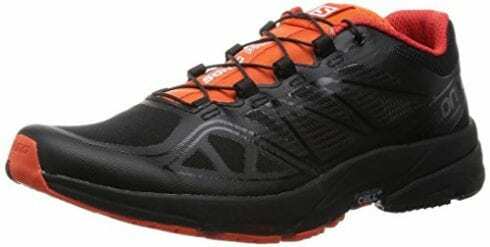 These cushioned running shoes also include a Foot shape toe box and Zero Drop platform for additional comfort and stability, even on the harshest terrains. These running shoes are versatile and can be worn for hiking, jogging, gym workouts, and everyday activities. These running shoes feature advanced technology and deep cushioning insoles for additional comfort and stability. The Ultraboost cushioned running shoes are designed to be energy-returning and will actually improve your workouts, whether that be running, jogging or hiking. 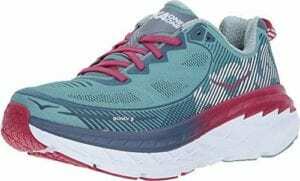 These cushioned running shoes have a specific cushioning boost that delivers a strong push-off so you can start as you mean to go on, as well as other comfort qualities. These cushioned running shoes feature the exclusive Adidas foot-hugging Primeknit upper that adapts to the movement and shape of your foot. 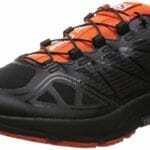 As these running shoes have a supportive cage, they provide even better performance as you are safe and comfortable. These running shoes are flexible and comfortable, as they rely on brand exclusive technology to improve your performance. The Reebok Women's Ahary Runner are high-quality cushioned running shoes that are made to be incredibly durable and lightweight. The mixture of textile and synthetic materials is flexible and comfortable for a variety of different activities. The rubber sole has great traction and is thick enough to be comfortable, especially with the cushioned insole. They are so comfortable that these cushioned running shoes can be worn as soon as they’re taken out of the box, which is ideal for those who are always on the go. There is a great color range available to suit any style or preference. These Reebok cushioned running shoes are flexible, lightweight and comfortable so they can be used for a variety of activities. These cushioned running shoes have a great insole that is thick, flexible and incredibly comfortable. The thick sole of these shoes is supportive and works to keep you comfortable so you can perform better when on the road, trail or treadmill. These running shoes are attractive and durable as they are made by one of the best brands in the business. With these running shoes, you can rest assured that you are getting great quality and durability. The Ortholite Sockliner provides a snug fit for security. The cushioned insole is provided through the Fresh Foam midsole that has unique technology for superior comfort and support during movement. These cushioned running shoes are attractive, supportive and incredibly comfortable as they rely on brand-specific features. Cushioned running shoes can make such a difference to your workouts, hikes or even everyday life. Depending on your skills and requirements the kind of cushioned running shoes that you need will differ greatly. Some cushioned running shoes have incredibly thick and durable insoles, whereas others may be more flexible and lightweight. Having cushioned running shoes can make your running or hikes even easier and will work to increase your performance. The better you feel, the better you will perform and therefore cushioned running shoes are ideal for those who want to work out better. Cushioned running shoes should work to keep you comfortable every step of the way. Cushioned running shoes are specialized sneakers that are chosen primarily for their shock absorption and comfort. They have, as their name suggests, specific insoles and linings that are cushioned. These kinds of shoes can be worn by both beginners and advanced joggers as they are made to support your natural shape and movement. This kind of running shoes tend to have thicker midsoles and may be heavier than standard running shoes, as they need to allow for more space for their padding. A lot of people may suggest that running with cushioned shoes is more difficult, as they are heavier than standard running sneakers. However, this additional weight allows for more durability and comfort. The midsole of a cushioned running shoe is the area that makes up the majority of the material between your foot and the ground. This area is normally made from durable rubber or other synthetic materials in order to deliver support and traction. In cushioned running shoes, the midsole is the area which absorbs most of the energy and contributes to your performance. 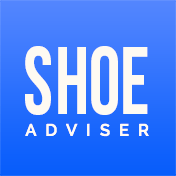 Finding the best midsole on a running shoe is not due to how firm or soft it is, as a lot of brands or models vary on this greatly. A good midsole is instead one that is able to respond well to your movement and return that energy with each and every step. The upper is the part of the cushioned running shoe that covers everything above the midsole and is primarily designed for security. This area of the running shoe should be breathable and lightweight, in order to keep the shoe comfortable. The best kind of upper to look out for on a cushioned running shoe is one that is made from soft, breathable and secure materials that will provide a good fit. Having a breathable running shoe is vital to your comfort and health. If your foot remains cool, then it is more likely that you will feel comfortable for longer. When your foot becomes too hot and sweaty damage to the skin can occur, which can make any further activity difficult. In order to find the best cushioned running shoes for your needs, you need to know what to look for. There are certain features or areas of a running shoe that you can look into to determine the quality, support and comfort they will provide. Having a well-fitted running shoe, cushioned or otherwise, is vital to determining their comfort and security. Certain shoes throughout this review feature specific materials or designs to make their fit even better. After all, the better fitting the shoe is the better your comfort levels will be. A good fitting shoe should be snug, but not tight. 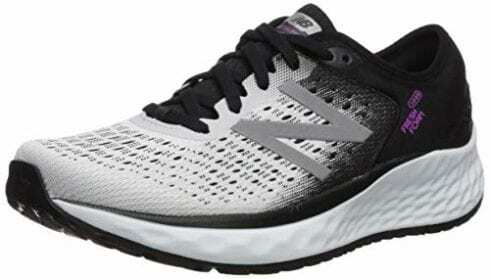 Shoes such as the New Balance Women’s 1080v9 Foam Shoe have a sockliner design that is secured to the natural shape of your foot for an accurate fit. Likewise, the Adidas Women’s Ultraboost uses foot-hugging knitting to secure the shoe to your foot for a fit that will support your natural shape and movement. 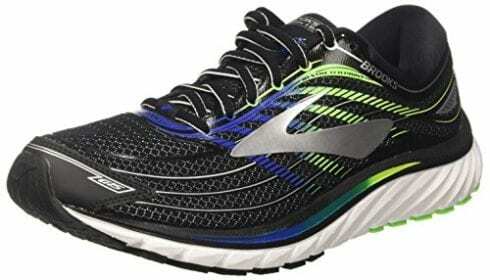 The Brooks Mens Ghost 10 have a Segmented Crash Pad that allows for safe movement and is responsive to your power. 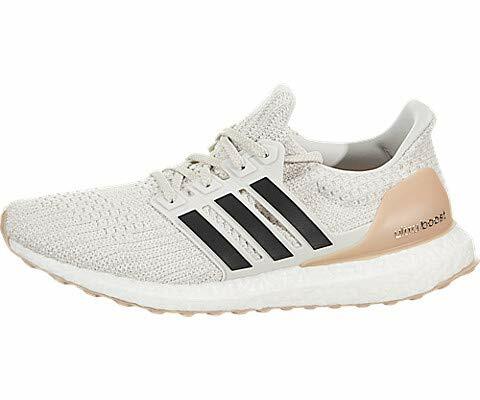 Likewise, the Adidas Women’s Ultraboost relies on specific technology or aspects to increase the responsiveness of the sneaker to help you on your run or hike. Cushioned running shoes are chosen, for the most part, for their comfort. 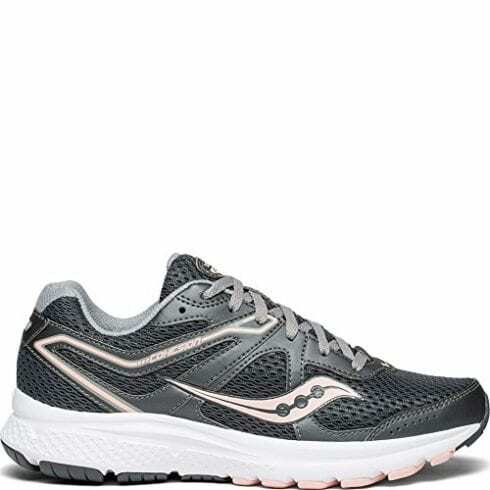 As they have more cushioning, padding and lining than other running shoes, these sneakers can be super comfortable. 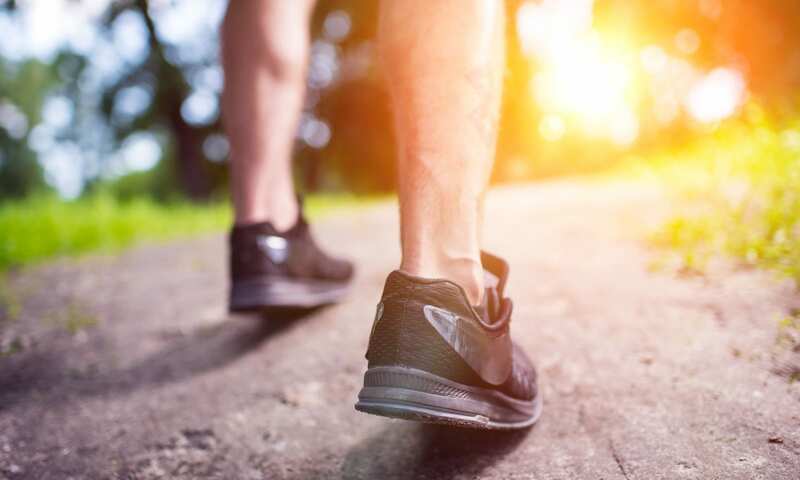 Cushioned running shoes are ideal for those who run, jog or hike long-distance as well as those with a certain foot or spinal condition who need a little extra support. Although all shoes throughout this review are incredibly comfortable, some models do have other features that can improve this aspect. The Hoka Bondi 5 Women’s Running Shoes, for example, have an EVA foam footbed and a curved profile that follows the natural shape of your foot. This makes the sneaker incredibly comfortable to wear, even for long periods of time. Cushioned running shoes can be incredibly comfortable and are ideal for a wide range of people. Choosing the best-cushioned running shoes for your needs can be quite tricky, as there are so many different models and brands available. In order to make your decision easier, here are some of the most frequently asked questions about cushioned running shoes. After spending a lot of time finding the best-cushioned running shoes, you want to make them last. Taking proper care of your running shoes can ensure a long-life and safer wearing. In order to keep your cushioned running shoes in great condition, you should make sure that you clean and dry them properly after wearing. If you leave your running shoes muddy or damp, the rubber can actually perish, and the stitching will deteriorate to the point of damage. You can clean your running shoes using some warm water and light soap to remove any odors or stains, as well as preventing damage. Make sure you brush all mud from the soles of the cushioned running shoes too. Once you have cleaned your running shoes, you need to allow them to dry properly to maintain their quality. If necessary, you should separate the in-soles and the body of the shoe for them to dry fully. The best way to dry your running shoes is naturally, although you can rest them on a radiator or under a heated to speed the process up. Never put your cushioned running shoes in the washing machine or tumble dryer, as this can cause a lot of damage. Putting your running shoes in a machine can ruin their structure and cause damage to the midsoles and cushioning. Cushioned running shoes are those that have thick midsoles and are curved to encourage fast movement and improved performance. They get their name from the cushioned insole that is present. This insole provides additional comfort and support. As they provide additional support, these kinds of running shoes could be beneficial to a beginner in the sport. Those who are just getting into jogging or running are not going to be used to how hard it can impact on your feet. Cushioned running shoes can improve your performance and posture as they have more support in their soles. However, a lot of people have reported that cushioned running shoes can be harder to run in than their lighter counterparts. This is due to the fact that their midsoles are thicker and the shoes can be slightly heavier than more flexible shoes. Nonetheless, having additional padding, support and structure can be super beneficial to anyone who wants to improve their performance on the road or treadmill. Cushioned running shoes can be worn on most terrains, but are mainly manufactured for solid terrains. If you want to improve your performance during your next hike, jog or run then cushioned running shoes should be on your shopping list. They are incredibly comfortable running shoes that make you feel supported at every step due to the additional internal cushioning. This encourages you to run quicker, work better, harder and faster. Cushioned running shoes are thicker and slightly heavier than standard running shoes as they offer more support. Make sure to clean your cushioned running shoes after most wears and allow them to dry properly to maintain their quality. 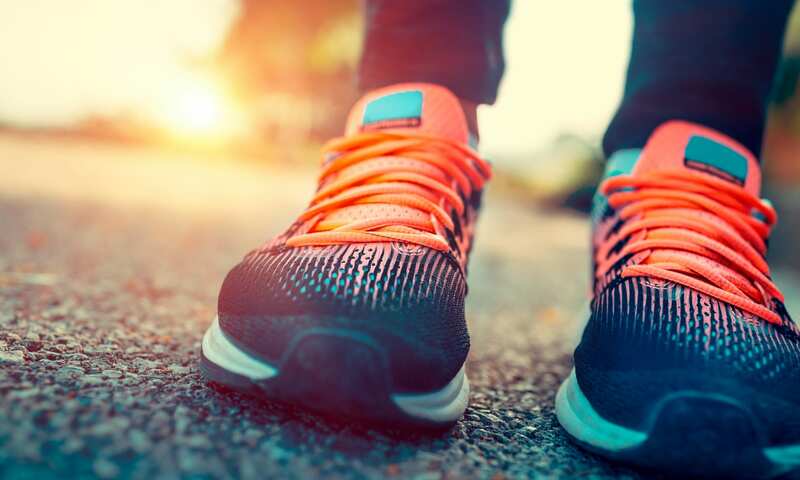 We hope you enjoyed our article on "10 Best Cushioned Running Shoes in 2019", if so, please share and rate it.